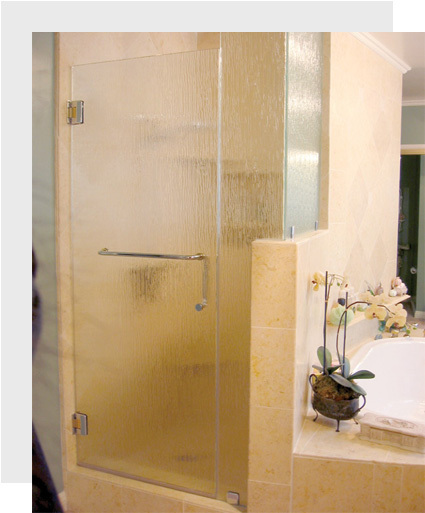 Our staff has installed over 25,000 frameless shower doors & glass shower doors throughout NJ. We have the skills & expertise to quality shower doors for every home. Out of our home basement and with four employees, Glass Castle was founded in August 1990. Today, we have three locations with over 30 employees and collectively, our three principals have over 75 years of experience. Glass Castle is a full service glass and mirror company serving Central and Northern New Jersey as well as Central Bucks County Pennsylvania. 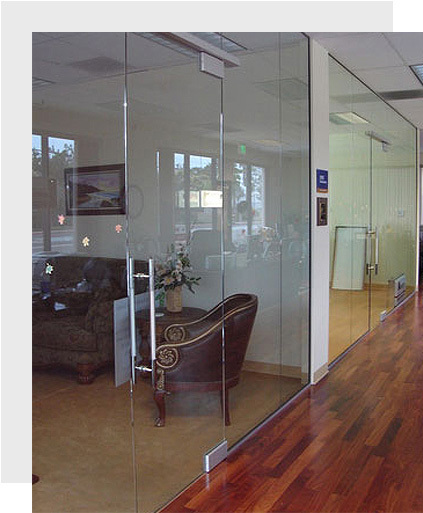 We proudly cover all phases of the retail and commercial glass industry. Welcome to Glass Castle, your number one source for all things glass. We offer a wide range of quality glass products for both residential and commercial customers throughout Central and Northern New Jersey, including: Basking Ridge, Bedminster, Princeton, Hopewell, Neshanic Station, and Warren from our locations in Flemington and Lawrenceville, NJ. We also provide service to Central Bucks County in Pennsylvania. We invite you to visit our state of the art showrooms in Neshanic or Lawrenceville for inspiration. We offer a great selection of styles and colors for shower door enclosures, including extensive options for your frameless, semi-frameless, and framed shower enclosures. Many people are concerned that glass shower doors are fragile. However, the products at Glass Castle are extremely durable and are custom-fit for each client’s home. Since showers have become a main design element in bathrooms in recent years, we offer several different shower designs. If you’re not sure which type of shower door you would like or would fit with your décor, a quick trip to one of our showrooms will give you the opportunity to examine each type to see which you find most appealing. 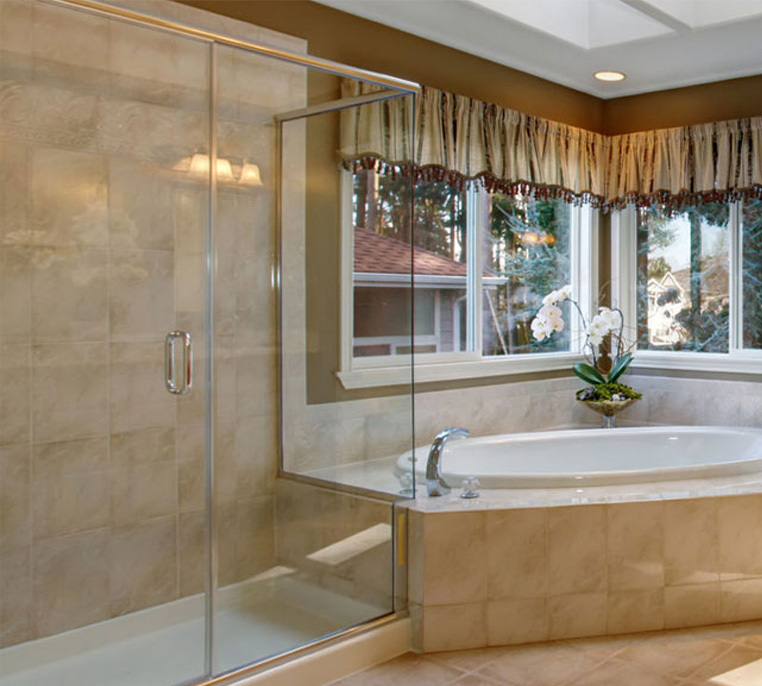 For example, sliding glass doors conserve space because they don’t swing outwards; they also make it easy to get in and out of your tub, and are very effective at keeping water inside the tub. Frameless doors feature thick glass that is primarily held in place with hinges, clips, and pivots rather than metallic framing. These doors can be a striking addition to a bathroom upgrade or renovation and could help to raise the overall value of your home. Our high-quality designs and options for frameless shower doors make it easy to create a real statement in your bathroom. Frameless glass shower doors also offer convenience as they drastically reduce your cleaning time and the design provides fewer places for water, soap, and minerals to collect and damage your bathroom. They also provide an unobstructed view to showcase your bathroom tiles and fixtures and make even small bathrooms seem spacious. Our experienced staff has installed over 25,000 shower doors in a wide range of custom designs and has the technical skill and expertise to provide you with the perfect shower door for your bathroom. 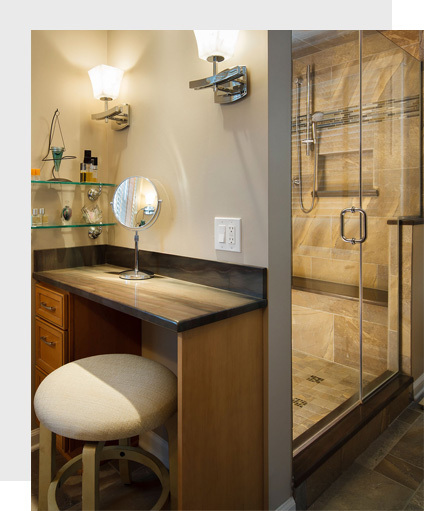 In addition to the shower door of your dreams, we offer custom mirrors, glass tabletops and furniture, glass tinting, protection, repair and other glass solutions for your home. Feel free to browse our galleries or visit one of our showrooms to get an idea of the many glass options available to enhance the beauty of your home. For businesses, we provide glass repairs, storefront upgrades, and custom work. Our commercial clients know they can depend on us to give them a great selection of high-quality materials, experienced craftsmanship, and crystal clear, aesthetically pleasing solutions each and every time. Our specialists will flawlessly execute your project, regardless of size or complexity, within budget and on time. We are highly skilled in architectural curtain walls, storefronts, and entrances, in new construction and complete or partial renovations. Glass Castle will make your commercial property stand out from the rest, with glass enhancements that give your business a new look, a new identity, and a new enthusiasm—and impress passersby and potential new customers to boot. Curious about how you could enhance your home’s or business’s aesthetic appeal with glass work? Contact us to arrange a free consultation, or call us for a free estimate. We Match Any Offer! We will meet or beat any written estimate, guaranteed! We will meet or beat any written estimate, guaranteed! We Match Any Offer! We will meet or beat any written estimate, guaranteed!